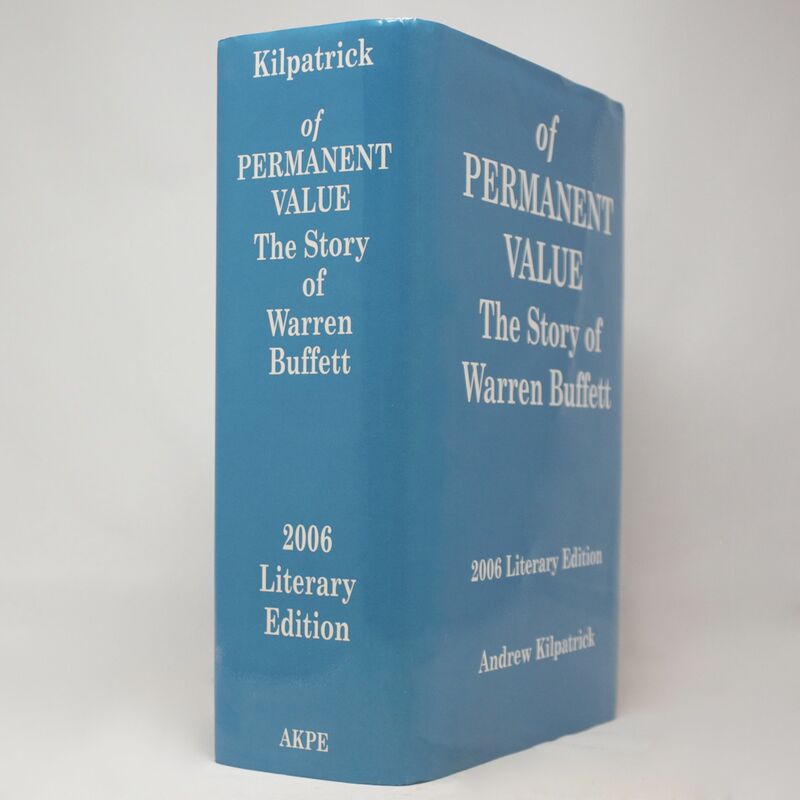 Of Permanent Value: The Story of Warren Buffett - IFA Vintage and Current Book Library - Index Fund Advisors, Inc.
At age six Warren Buffett paid a quarter for a six pack of Cokes and sold each Coke for a nickel-a return of 20%. From then on he compounded his returns at better than 20%. That's why he's a multi-billionaire-indeed the second richest person in the world..
Today Buffett's investment vehicle, Berkshire Hathaway, is a major shareholder in some of the greatest companies on earth: Coca-Cola, Gillette, Disney, American Express, a brand name extravaganza. GEICO, Berkshire's auto insurance unit, and Berkshire's other insurance entities, make up one of Buffett's secret weapons. They provide about $7 billion of "float," or other peoples money. Berkshire receives the money in the form of premiums and invests it, multiplying it profitably until time to pay off insurance claims. Berkshire, often thought of as a batch of stocks worth about $40 billion, is far more. The stock portfolio Is one of its three legs. The second leg is the enormous insurance business. A third leg is a collection of wholly owned businesses. With the purchase of the rest of GEICO in early 1996, the buyout of FlightSafety International in late 1996 and the smaller purchases of Star Furniture in 1997 and International Dairy Queen in 1998, Berkshire is now a constellation of operating businesses. The enormous stock portfolio, the insurance businesses and the operating businesses all do one thing-throw off a ton of cash for new investments. None of this counts the 129.7 million ounces of silver, some oil and fixed-income portfolio worth north of $10 billion. And none of this includes Berkshire's newest amazing deal-the $22 billion purchase of General Re Corp. Although it is Buffett's genius and personality which holds Berkshire together, he has had help from an extraordinary group of people. First and foremost is Charles Munger who has offered advice for almost 40 years and has pulled Buffett away from investing in lesser quality stocks. Munger has helped Buffett see the advantages of brand name companies with consumer franchises, pricing power and durability. Buffett and Munger-in Buffett's words-became "mental partners" back in 1959. Munger jokes that he deserves credit for hooking up with Buffett in the early days when Buffett had no outward appearances of success. "He had a crew cut. He was working out of a sun porch at his house and his dietary [leanings] were toward Pepsi, salted nuts and no vegetables." Munger, Lou Simpson and Ajit Jain within Berkshire have aided Buffett as have a number of figures outside Berkshire, including Tom Murphy, Katharine Graham and Bill Ruane. --This text refers to an out of print or unavailable edition of this title.